Here are the answers to some of our customers most popular questions! 1.- How many colors are available to print my logo on a Logo Mat? 2.- What type of file do I need to send my logo in? There are two ways, either in a .jpeg or a .pdf format. 3.- Can you customize matting? We are always happy to custom your mats! Our online forms allow you to specify custom lengths and widths for most products. 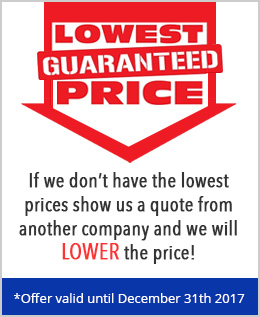 Also you can speck to one of our representatives to help you find a solution for your need. 4.- How much will my shipping costs be? / How are your mats shipped to me? 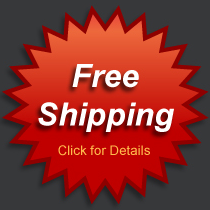 We proudly offer free shipping on all orders over $200. Offer is valid for free ground shipping within the continental United States only. Offer excludes Alaska, Hawaii, and US Territories. Orders under $200 will incur a $25 shipping and handling fee. All orders will be shipped using Fedex Ground Service, if expedited service is required, additional charges will apply. 5.- What is the best mat for handling snow and slush? The perfect matting solution to handle heavy snow and slush is our Scraper Logo Mat system, specially designed to handle the rough use and waste of high traffic and bad weather for a long time thanks to its strong rubber construction. This type of mat are textured surface cleats that offers superior slip resistance and effectively scrape tough dirt and grime off of shoes. 6.- When do I know it is the right time to clean my mat? To maintain a mat over time they should be cleaned regularly using a standard upright vacuum, carpet cleaner or industrial washing machine depending on the type of mat. In addition it is very important to clean mats as soon as you notice moisture and soil tracking around the mat or when the mat begins to darken in color. 7.- What are the best areas to place an Anti-fatigue mat? 8.- What is the best mat to be placed in a Pool Area? We offer a perfect matting solution for pool areas; our Wet Zone Pool Mat is one of the best non slip pool mats, also it’s comfortable, hygienic and safe. This non slip pool mat protects its users from germs and accidents too. By using this mat you will definitely avoid having an unsafe pool and you will find it’s so easy and affordable to improve your pool area. 9.- What is the best mat to be cleaned in a washer machine? Our Launder Entrance Mat is so simple to clean, just vacuum, use a carpet cleaner or commercially wash. Backed with 100% rubber, these mats are both beautiful and durable. Available in a wide variety of colors, there is sure to be an option to fit any décor while trapping dust and moisture below the surface as traffic enters your building. 10.- Do you offer a recycled mat? We fell a responsibility to keep our environment safe, that is why we are proud to offer EcoGuard Recycled Mats, made from 99.9% post-consumer recycled plastic. The all rubber backing is made from used tires, preventing landfill waste. You can keep your interiors and the environment clean, safe, and healthy while using EcoGuard Recycled Mats. 12.- Is there a minimum order policy? 13.- Where do you provide logo mats? We provide logo mats for: Akron, Albuquerque, Anaheim, Anchorage , Arlington Arlington, Atlanta, Aurora, Austin, Bakersfield, Baltimore, Baton Rouge, Birmingham, Boise, Boston, Buffalo, Chandler Charlotte, Chesapeake, Chicago, Chula Vista, Cincinnati, Cleveland, Colorado, Springs, Columbus, Corpus Christi, Dallas , Denver, Detroit, Durham, El Paso, Fort Wayne , Fort Worth, Fresno, Garland, Glendale, Greensboro, Henderson ,Hialeah, Honolulu, Houston , Huntington, Indianapolis, Jacksonville, Jersey City ,Kansas City, Laredo, Las Vegas ,Lexington-Fayette, Lincoln, Long Beach, Los Angeles, Lubbock, Madison, Memphis, Mesa, Miami, Milwaukee, Minneapolis, Modesto , Montgomery, Nashville-Davidson, New Orleans, Newark, Norfolk , North Hempstead, Oakland, Oklahoma City, Omaha, Orlando, Philadelphia, Phoenix, Pittsburgh, Plano, Portland, Raleigh, Reno, Riverside, Rochester, Sacramento, San Antonio, San Bernardino, San Diego, San Francisco, San Jose, Santa Ana, Scottsdale , Seattle , St. Louis , St. Paul, St. Petersburg, Stockton, Tampa, Toledo, Tucson, Tulsa, Virginia Beach, Washington, Wichita, New Yor.